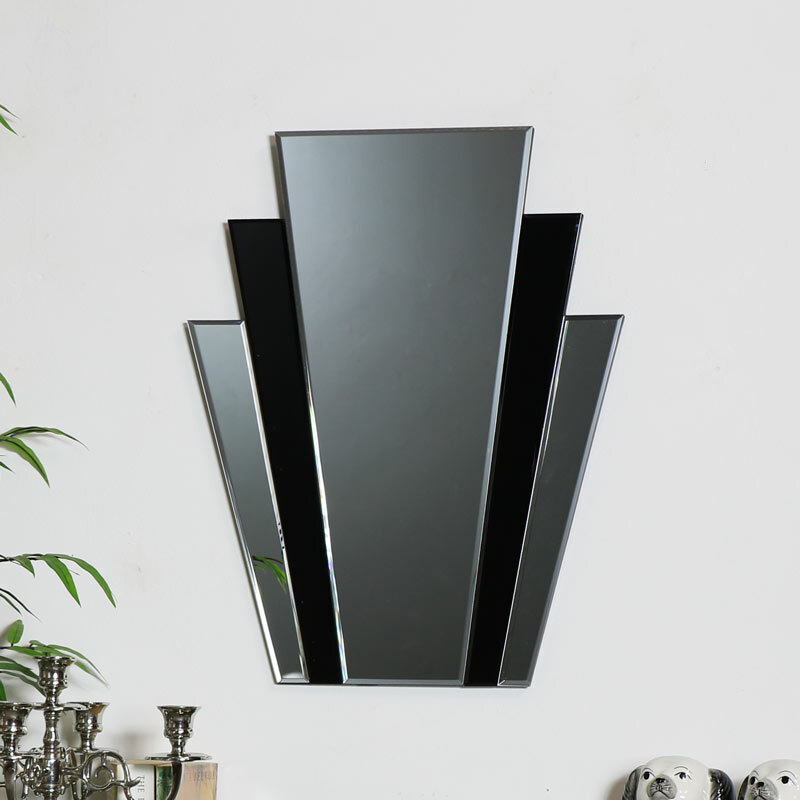 Art deco style wall mirror with clear and black glass panels for adding some vintage, retro appeal to your home decor. Decorative appearance for a classic & timeless look in the living room or hallway. Super stylish and ornate with fan style wall mounted design that stands out. Perfect for displaying in the modern and traditional interiors. The eye cathcing design will make a fantastic statement and fabulous conversation piece. 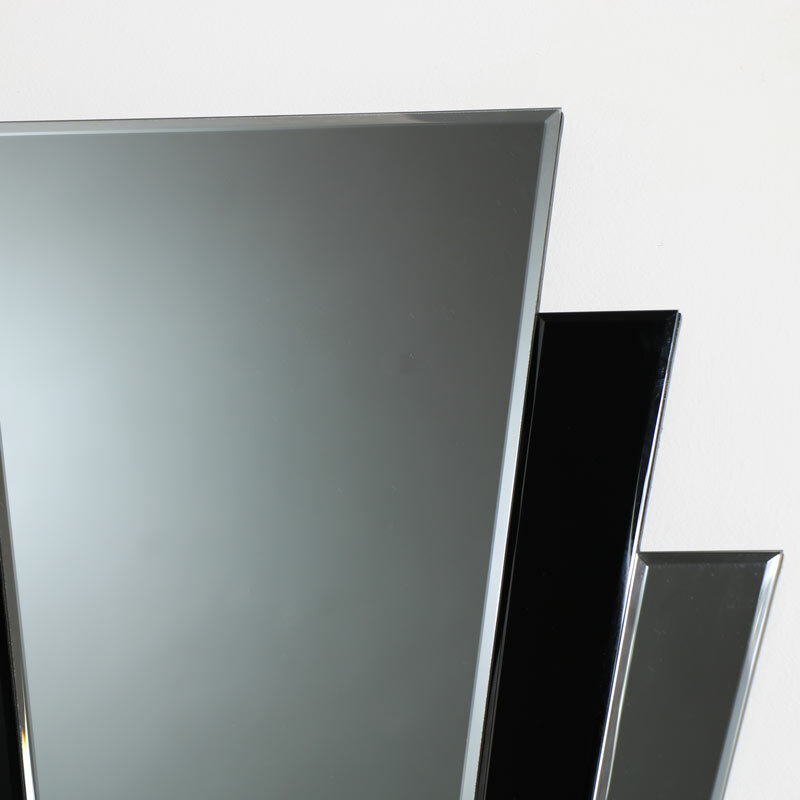 Wall mounted design with clear and black glass panels. Easily wall mounted with 2 d-ring hooks on the back. 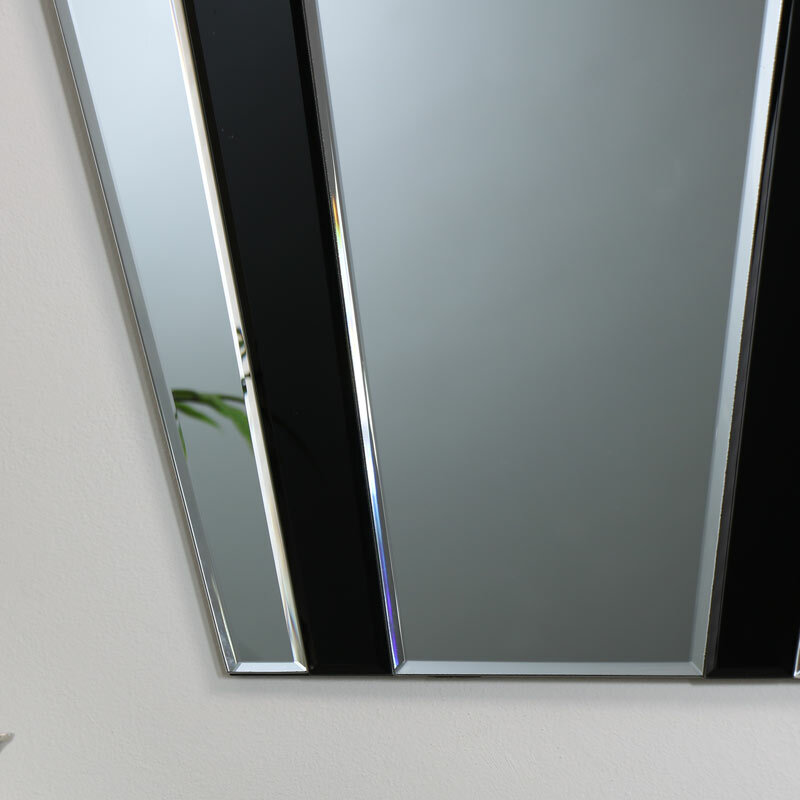 With a fantastic selection of mirror s to choose from your can create your dream living space.